“My spine surgery was the highlight of my 2018,” is not something you hear every day, but Byron Berg says it’s true. His low back pain started slowly, he tried physical therapy and later injections, but the pain was getting worse. Along with the back pain, he had tingling and pinching in his legs and feet that “felt like bee stings.” After a few years, he wondered how he had reached the point where his pain was only relieved by sleep. The retired 73-year-old with “the motorcycle gene” says he remembers moving one of his bikes around the garage by leaning all his body weight into it – he thinks “that was the straw that broke the camel’s back,” so to speak. But years of working in the food business, and lifting 100-pound bags of potatoes, probably didn’t help. Byron had spondylolisthesis, that was causing instability in his lumbar spine. After his 2-level lumbar fusion surgery, Byron’s pain was much better, and it has continued to lessen even more over time. Byron sent over the above photo because it was taken 9 days after surgery and he says it captures how he felt perfectly. A lover of all things outdoors, Byron was delighted to find he could bike, hunt and hike like he did in his twenties. Upon meeting Dr. Aguwa, Robert felt immediately comfortable – his humor and relaxed manner added some much-needed levity to Robert’s serious situation, and his professionalism made Robert feel at ease. Dr. Aguwa took the time to explain the problem, the diagnosis and the surgery to Robert and his wife, Marcia. Robert underwent a 7-hour, revision lumbar fusion surgery in May and was relieved to be pain free when he woke up. Dr. Aguwa appeared in Robert’s room at 6:00 am in a Princeton Tigers t-shirt and jeans, he spoke at length with Robert about how he was feeling before he mentioned his wife was in labor with their first child on another floor in the same hospital! Robert and Marcia felt it was a demonstration of the dedication Dr. Aguwa has to his patients that he would check on Robert before his son was born. 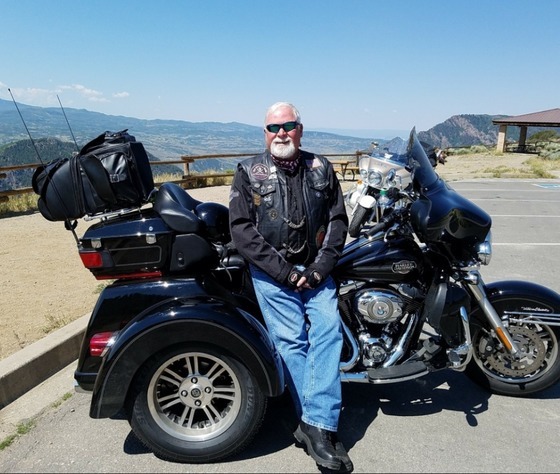 After 18 years in the Navy and 26 years as a Senior Regional Support Engineer for IBM, this retired 69-year-old is anxious to get back to traveling. He and Marcia usually put 30,000+ miles on their RV each year, so they are looking forward to a trip to Arizona in February. And Robert is on his eighth Harley in 51 years, this one is a trike, so it’s safer, and he recently took it to Sturgis. He is back at the gym three times a week and has resumed his walks and hikes with Marcia. Robert “cannot say enough” about Dr. Aguwa, he says his experience with Dr. Aguwa was "the best experience with the medical community I have had in my life.” He and Marcia have even been able to see pictures of Dr. Aguwa’s son in the baby onesie they bought him. Activity and fitness are very important to Scott Richardson. Ever since the 63 year old Air Traffic Controller retired, his active lifestyle has become even more so. 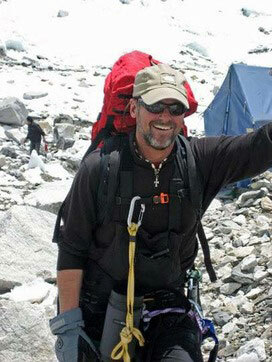 Trail running, tennis, road biking and hiking 14ers are everyday components of life for Scott. So when he woke up in February with neck pain that radiated down his arm, his first thought was that he wouldn’t be able to run that day. When Ibuprofen didn’t make the pain any better, Scott got a steroid prescription from his doctor, tried a chiropractor and a massage – but nothing helped the pain. His arm was on fire, he couldn’t get out of bed for more than 5 minutes and when he went in to see his primary care doctor he could barely crawl onto the exam table. An MRI showed a herniated disk in Scott’s neck. His doctor referred him to Dr. Ghiselli. 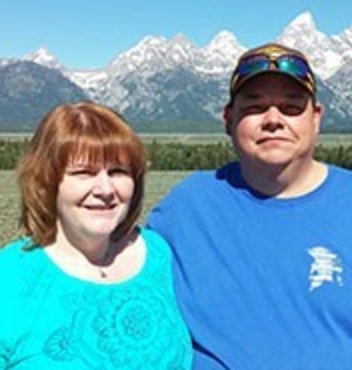 After his surgery in March, Scott’s pain faded away. Two weeks later he was back to activity and Dr. Ghiselli said Scott’s MRI showed the “spine of a 35 year old” with some new hardware. Scott even gained three-quarters of an inch in height from the artificial disc! “Dr. Ghiselli has high standards for his team, they are all on the same page,” Scott says, “Brigitte even smoothed out some insurance wrinkles I couldn’t solve myself.” Scott adds “Dr. Ghiselli is a true professional, he took the time to understand me and how important exercise is to me, and tailored my recovery accordingly. Now Scott is at “103%” of where he was before his neck pain started. He recently played in the Denver City Tennis Tournament, ran to the top of Carpenter Peak and rides his road bike regularly. “I got the right doctor and I got the right results” says Scott. Jordan can trace his spine problems back to a strange sensation he experienced while attending a work event last fall. Battling a cold, Jordan coughed and suddenly felt his finger begin shaking. The feeling took him by surprise, but subsided and was followed by a tightness in between his shoulders, which Jordan chalked up to being slightly out of shape. To address the issue, Jordan began working out regularly and doing yoga to help stretch out his back. After one particularly intense workout - which involved tossing a heavy medicine ball with a friend - Jordan woke up in the middle of the night with his entire left side throbbing and numb. The pain became more consistent after that. He’d wake up every day with his left arm killing him. He even kept his left hand on the door handle when he drove because the throbbing in his arm was too distracting. He became so concerned about the impact of any workout, that all of his physical activity came to a grinding halt. Jordan spent months frustrated, trying to figure out what the problem was. “I didn’t know what it was, but I knew it wasn’t supposed to be happening,” said Jordan. Although Jordan has had four knee surgeries and an ankle surgery, he was apprehensive about having surgery on his spine. But Dr. Jatana’s calm demeanor put him at ease. “When he explained how simple and routine it was, those nerves went away,” recalled Jordan. Jordan had surgery at the Mile High Surgery Center, which allowed him to spend the night in his own bed. While the first night was uncomfortable, he noticed immediately that the pain in his left arm was gone. The day after surgery he was well enough to make a quick trip to Costco and soon after he felt well enough to begin walking regularly. A 23 year-old, fit, avid skier who frequents the gym is not someone you would think would need spine surgery. At least that’s what Colorado native Clay Sugg thought. Last summer at the gym during squats he heard something “pop” in his back. It got slightly better, and he went back to the gym a few days later only to have the same thing happen during squats again. It continued to get worse this time – Clay’s back started to hurt when he walked, he couldn’t find any position he was comfortable in, and he started having shooting leg pain. This was very out of the ordinary for the healthy public accountant – he couldn’t focus at work, couldn’t work out, and he could only walk about 100 feet without stopping. He sought the help of a physical therapist. The physical therapist knew Clay needed to see a spine surgeon, she recommended Dr. Okezie Aguwa. Clay immediately connected with Dr. Aguwa - they are both young and athletic, both played high school football and other team sports, and are lifetime sports enthusiasts. 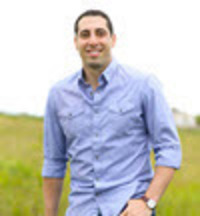 Clay found Dr. Aguwa “incredibly personable and relatable, he felt like a doctor and a friend.” Dr. Aguwa was confident surgery could fix Clay’s herniated disc and take away his pain. Clay had an L5-S1 micro decompression surgery two weeks later. “I walked out of the hospital feeling 100% better,” Clay remembers, “Dr. Aguwa made me feel calm throughout the entire process.” Clay only missed one day of work for his surgery, and he was walking the 1.5 miles to work a week later. Now, six weeks after surgery, Clay is back to hiking (did we mention he has hiked Mt. Kilmanjaro? ), running (and that he runs half marathons?) and lifting weights (although he has not been able to bring himself to do squats again!). Unfortunately, Clay has not been able to ski this season, which has been tough on him. But don’t feel too sorry for Clay, he plans on skiing during his honeymoon this upcoming August in Argentina. We’re excited to see Clay back to his happy and healthy self for his July wedding and new married life. 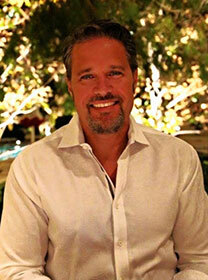 A yoga practitioner for almost 10 years and a yoga teacher for four, Steve is well in tune with his body. So when he noticed pain in his hips radiating outward, he suspected the spinal bone spurs and moderately herniated disc he had been diagnosed with years ago were to blame. The pain became worse until he couldn’t even tie his own shoes. He took a lot of Ibuprofen, tried icing and then cortisone shots – nothing stopped the pain for very long. Steve knew he needed to see a doctor. And the same name was mentioned over and over, from holiday party conversations to a recommendation from a neurosurgeon friend, everyone told him to go see Dr. David Wong. Steve went to see two doctors and decided to have surgery with Dr. Wong. An avid basketball fan (he played until the age of 60), Steve was hoping to have his surgery on Tuesday, March 14, 2017, ensuring he would be home in time for the start of the men’s NCAA basketball tournament on Thursday. He wanted to spend his recovery watching the tournament. Lucky for Steve that day was available. After surgery, the pain was gone, the microdecompression worked. As planned, Steve spent his recovery watching the NCAA playoffs and even named his basketball pool team “Dr. Wong’s Got My Back.” Fortunately, his surgery was more successful than his tournament team. 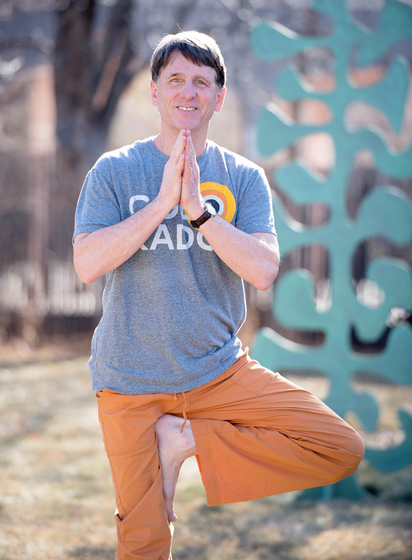 Steve feels yoga prolonged his need for surgery and knew it could be a powerful recovery tool, so he wanted to get back to it as soon as possible. True to his goal, Steve was back to teaching yoga in July. Still pain free today, Steve credits Dr. Wong and his wonderful team for giving him this gift, he now knows why Dr. Wong was on everyone’s short list. At 80 years old, Bette Henson is on the older side of patients Dr. Ghiselli operates on – but that doesn’t bother Bette, or Dr. Ghiselli. In fact, her surgery in August of 2017 was Bette’s fifth back surgery – three surgeries with Dr. Jatana and two with Dr. Ghiselli. Bette is pretty hard to keep down. She describes herself as “always doing something.” The avid traveler, golfer and grandmother keeps a very busy schedule, but it’s her attitude that keeps her happy and healthy. 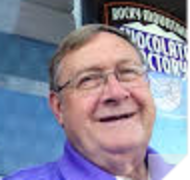 The Colorado native worked in finance for Lockheed- Martin for over 40 years. She retired when someone was needed to care for her brother with Down’s syndrome, she cared for him for 10 years until his death at age 64. Bette can’t attribute her back issues to any one injury or event, she says they are a culmination of years sitting at a desk and all the lifting and carrying involved with caregiving. But spinal stenosis started in Bette’s spine, surgeries over the years helped, but eventually she had a foot drop and pain – so she had a cervical fusion in February, 2017 followed by a lumbar fusion in August of 2017. Bette says she diligently wears her brace after surgeries (even though she hates it) and follows recovery directions so she can get back to her active life as soon as possible. She says Dr. Jatana and Dr. Ghiselli have the best bedside manners of any doctor she has seen, which is fine with her because she loves to be with and talk to people. “What a wonderful group they are at Denver Spine Surgeons! No wonder they’re busy all the time!” Bette exclaims. Always in contact with 4 of her besties from Lockheed, they lunch together every week, play golf, attend plays and musicals and travel together. And they travel a lot – particularly cruises: large ocean cruises, windjammer cruises and Bette’s favorite, European river cruises (she’s been on 9). Bette is feeling great after her last surgery, which means she is already back to her active lifestyle – walking, golfing, traveling to Portland and Tucson, and most importantly, no sitting! Ron grew up in farm country in Iowa, he could always do things other people couldn’t – like throwing bales of hay, and lifting up the front end of cars. His extraordinary strength led to football, construction work, and his own moving company where his motto was: “if it’s too hard for you, it’s just right for me!” Eventually the years of hard labor caught up with him. In 2002 Ron made an appointment with Dr. Jatana after being told “he is the surgeon other doctors go to for their back surgery.” Ron immediately liked Dr. Jatana’s easy manner and willingness to spend time answering all his questions. He had his first surgery with Dr. Jatana that year – five more followed over the next 12 years. After each surgery Ron saw an improvement that allowed him to continue in his garden, around his house (light construction projects only! ), and at school where he teaches. Ron begins his 50th year teaching middle school this August. He says his “heart is in middle school.” At 71 some teachers would be retiring, but Ron thinks, “13 year-olds energize me!” He already misses his students from last year and can’t wait to meet his new crop in the fall. Dr. Ghiselli is performing Ron’s next back surgery. Ron thought, “if Dr. Jatana recommended him, he must be good.” Ron was impressed with Dr. Ghiselli’s thoroughness, the time he spent with him, and his team’s ability to go to bat with the insurance companies to get Ron the surgery he needed. Ron hopes to teach middle school until he is 100. We wish there were more teachers out there like Ron, and we can’t wait to perform his surgery, so he can get back to some very lucky 13 year olds next year. 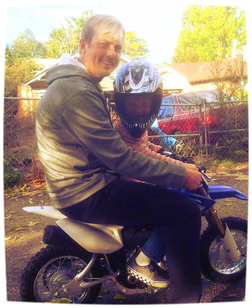 Russell was living a full life with his wife and two small boys, his motor and BMX bike racing past not that far away from his new, grown-up, dad persona. So when his 8 year-old challenged him to a race around a lake, he of course accepted. Unfortunately it did not end well, Russell tore a frontal hernia which essentially shut down his abdominals and forced his back to take on the brunt of his activity. Coupled with some over-extending while doing adult gymnastics and Crossfit, this over 40 year-old started to feel his age for the first time. He had the hernia fixed, but pain had already started in his sciatica and down his leg. Then he broke his foot and had to walk in a boot for 6 weeks. This exacerbated his back pain, to the point where it became a constant presence. Russell tried physical therapy, chiropractors, even cupping and Chinese back plaster – but nothing helped. Married to a physician and with many friends in the medical field, Russell was told he did NOT want back surgery. So he hobbled along, continuing with Tylenol, gabapentin and physical therapy. His back and leg pain increased until he was a 7-9 on the pain scale 24 hours a day, and could only walk 10 feet at a time. At a Christmas party, a malpractice attorney friend noticed him struggling with pain, she recommended he see Dr. Wong – a name that was familiar to Russell, “it seemed everywhere I turned, someone recommended the same doctor.” So Russell finally gave in to the possibility of back surgery and saw Dr. Wong, who told him surgery could alleviate, if not eliminate his pain. A cancellation put Russell at the front of the line for surgery and before Christmas last year, Dr. Wong performed an L4-L5 micro discectomy. When Russell woke from surgery, he noticed he was able to straighten his leg for the first time in a long time, then he noticed the complete absence of pain, “it was as though a switch had been flipped,” he says. 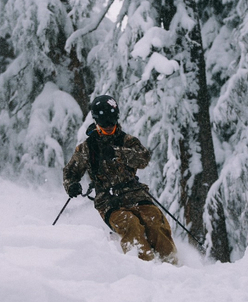 Mark’s son took this photo recently while skiing in Bozeman, Montana for Mark’s 60th birthday. 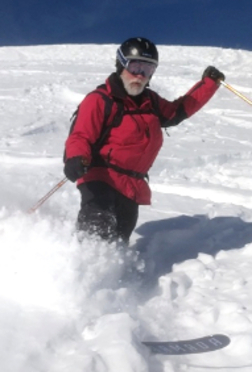 Mark has a lifelong love of skiing, and is thrilled to be back on the slopes after both a lumbar spine and a cervical (neck) spine surgery in the past year. Mark was a ski racer growing up in Idaho, and took several spills, one of which he was lucky to walk away from, that’s why he says, “skiing is great, it’s the crashing that’s the problem.” That, combined with high school football, took a toll on Mark’s spine. His neck, he was told at 16, could only be fixed with surgery, so he suffered through neck pain and “crunchy noises” ever since. A few years ago Mark’s back began to give him trouble: sciatic nerve pain, loss of strength in his leg, and pain, especially while sitting (which is difficult when you ride a train to work and sit at a desk all day). Mark tried chiropractors, physical therapy, his doctor even recommended new shoes – none of it lessened his pain and weakness. When his leg started giving out on him and he had to pass up a ski trip with his son last February, he decided to get an MRI. When his son moved to Bozeman this winter and invited him up to ski, Mark’s wife told him it was an opportunity he couldn’t pass up, even if it was earlier that he anticipated in his recovery. Mark skied three consecutive days (Mark quit alpine skiing at age 50, he’s a telemark skier these days) and felt “fixed” for the first time in a long time. Now, thanks to Dr. Ghiselli, he plans on skiing at least 23 more years so he can beat his dad’s record of skiing until age 83! Jenny was a dancer and competitive gymnast growing up here in Colorado, and all that intense training helped her develop spondylolisthesis in her spine while in college. After her father vowed to find his daughter "the best spine surgeon in town" she ended up in Dr. Wong's office. At only age 22, Dr. Wong had to perform an L5-S1 fusion surgery on Jenny to stop her pain and correct her spondylolisthesis. That surgery eliminated Jenny's pain, and she enjoyed 28 symptom-free years - during which she completed her Physical Therapy degree, continued dancing, hiked, biked, had kids, and lived her life. About a year ago, Jenny started having back pain and symptoms again. Luckily she had recently moved back to Denver, so she sought out Dr. Wong again. After meeting with him, she didn't even consult with anyone else. Dr. Wong prescribed conservative treatment like injections for Jenny, but her condition was worsening. And Jenny was about to begin her doctorate degree in Physical Therapy, so Dr. Wong said "let's operate on your back now, so you can focus on school" - and 3 days later she had an L4-L5 fusion. Again, Jenny awoke from surgery pain-free. She started her doctorate degree and her own physical therapy regimen, which "as a patient is a sobering and valuable experience for a Physical Therapist!" she says. She is hoping to resume dancing soon. "Dr. Wong is so caring and professional, he goes above and beyond" says Jenny, "his focus was always on getting me back to my life." In her profession, Jenny works with a lot of doctors, and she works with a lot of Dr. Wong's patients, she says when she sees Dr. Wong's name on a patient referral, "I know they will have a great outcome and no complications." When Dr. Wong did Jenny's second surgery, he removed the hardware from her first surgery. "It's sitting on my kitchen counter now," Jenny told us, "every time I look at it, I thank Dr. Wong and Diane!" Lori was involved in a car accident that left her with a severe neck injury. Within days of the accident, pain began to take hold in her neck, shoulder, and left arm. The neck pain led to headaches and her left arm eventually became so weak she had trouble grasping or lifting anything without pain. Household and work-related tasks such as washing dishes or lifting a ream of copy paper, became impossible. Lori’s primary care physician recommended an interventional pain management practice, which tried a series of pain control injections. When five injections failed to provide long-term relief, Lori’s physician suggested seeing a spine surgeon. Dr. Jatana was the first surgeon Lori visited, she found Dr. Jatana confident and clear in the explanations he provided for the treatment he was recommending. Lori visited other surgeons to obtain second opinions on her condition – a process that re-confirmed her confidence in Dr. Jatana’s abilities. With the accident causing damage to several of Lori’s vertebrae, Dr. Jatana recommended artificial disc replacement surgery at the C6-C7 level in the lower cervical (neck) spine. Though the idea of having spine surgery came as a shock, Lori says her post-surgery experience was excellent. She credits Dr. Jatana and his staff for taking the time to explain the procedure thoroughly and for welcoming questions and concerns. “I have full confidence in him, his staff and their abilities,” said Lori. “I would recommend their office and services to anyone without hesitation." Lori took six weeks off work post-surgery to heal, but is now back on the job and has resumed all of her regular activities. “I’m confident that this was the right choice,” said Lori. Doug takes the word 'adventurer' to the extreme. His long list of expeditions include climbing Mt. Everest, Denali, marathons and ultra-marathons, and rowing a 36’ ocean boat 3,700 miles across the Indian Ocean from Australia to Mauritius. So when Doug was running a 24 mile training run (easy peasy) and felt his back seize up after jumping down a ledge in the first mile, he was worried (but completed the 24 miles anyway). He felt radiating pain and weakness down his leg from then on. Doug tried massage, physical therapy and acupuncture, but an MRI showed bigger problems. Doug visited Dr. Ghiselli after several personal friends recommended him. Doug liked Dr. Ghiselli's engaging, direct and up front manner - surgery was really the only option for an adventurer like Doug - especially when he had a new expedition planned. Doug was going to attempt to ski from the coast of Antarctica to the South Pole—a distance of approximately 750 miles, by himself. 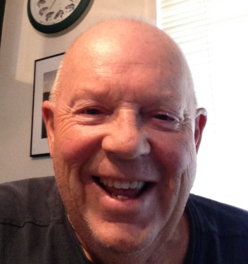 Doug had an L5-S1 micro discectomy and felt relief from his symptoms right away. He was back to running in just three weeks and was able to leave for his Antarctic adventure (did we mention he had to pull a 230 pound sled behind him?). Doug's South Pole Solo expedition was cut short by bad weather and a foot injury, as Doug says "it wasn't my back that kept me from completing!" But he is attempting it again in December of 2017. We will be rooting him on from Denver! 69 year-old Candis Krisher’s first love is caring for her family, including 8 grandchildren and 95 year-old mother, but Candis’ next love is road biking. She took it up in her 50s after retiring from a career as a CPA, and has been obsessed ever since. For ten years she was part of a road biking club, competed in races (time trials, long and short circuit courses) and got on her bike every chance she got. So when she had a fall off her bike in 2011, she thought it was just part of the sport. But added to the spinal stenosis and arthritis she already had, the fall was slowly taking more and more time away from her bike. The pain worsened, so she tried steroid shots and yoga. Candis and her husband then moved from Ohio to Evergreen, Colorado, so Candis took up yoga here. During one of her classes she felt very severe pain, afterward she couldn’t go up stairs or feel her legs. Her primary care doctor recommended Dr. David Wong, and Candis knew she had better see him soon. Dr. Wong found Candis’ severe spinal stenosis had progressed to the point where she needed surgery. He performed a Microdecompression of L3-4 and L4-5 in March of 2015. Candis felt immediate relief after “Dr. Wong did his magic” during surgery, she could walk without pain and felt much less pain in general she says. “He cares,” Candis said, “he’s smart and he runs an extremely efficient” practice that respects his patients. “He makes you feel like he doesn’t have a care in the world except for you,” Candis reflects. Mike was pretty serious about his workouts. He worked with a personal trainer several times a week and was doing some heavy lifting. The first sign that something was wrong was tingling in his fingers. The tingling soon became pain, which worked it's way up his neck until standing for more than an hour was causing "massive pain." Mike did lots of research and decided to go see Dr. Sanjay Jatana. He got all his questions answered and immediately felt confident in Dr. Jatana. Turns out Mike had a bulging disc in his neck causing all his pain, after trying several non-surgical treatments, he was a candidate for artificial disc replacement. 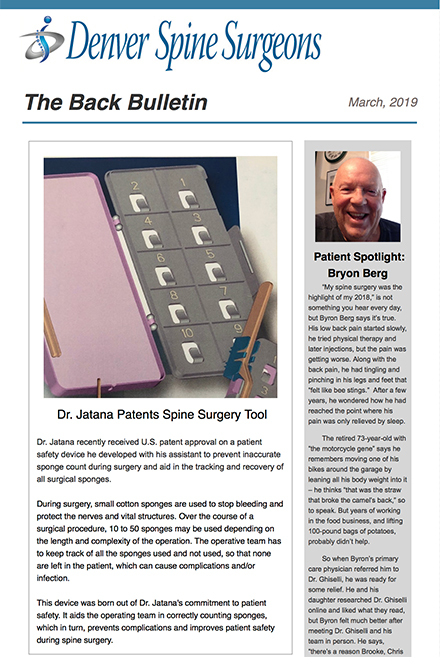 Dr. Jatana performs many artificial disc replacement surgeries every year, so Mike decided to go ahead with his cervical 5-6 disc replacement surgery. An avid skier – helicopter, snowcat, and backcountry – Jonathan figured he needed to give up his favorite sport after he learned he needed back surgery. Years of heavy construction labor in his late teens and early twenties to help with college costs, coupled with years of jarring sports like running and mogul skiing were starting to take their toll on Jonathan’s spine. After he returned from an Alaskan heli-skiing trip in April, the pain was so bad he could barely walk. Jonathan tried injections and chiropractors, but the pain was no better. A friend referred Jonathan to his spine surgeon, Dr. David Wong. Jonathan liked Dr. Wong’s candid nature, “he tells it like it is,” Jonathan says, and the fact that he only recommends surgery as a last resort. And Dr. Wong told Jonathan he was at that point. Jonathan thought “if you need surgery, you might as well do it with the best.” So in August Dr. Wong performed an L2 – L5 micro laminotomy and laminoplasty to relieve the spinal cord pressure caused by Jonathan’s vertebral bone spurs. Diane Guisti, Dr. Wong’s Physician’s Assistant, who Jonathan thought was “outstanding,” joked with Jonathan that they had to “drill to China” to get rid of his bone spurs. After surgery, Jonathan’s pain was gone. He started a physical therapy regimen that put him on the path to his pre-surgery shape, a regimen he continues today with regular weight training and low-impact cardio exercise. When Dr. Wong told this 61 year-old he could ski again this season, Jonathan was thrilled – he plans to get back at it as soon as it starts snowing. Jeff Bowers and his family are now happily ensconced in Pennsylvania. But their move from Evergreen to Pennsylvania can best be described along the lines of a well-known story: a series of terrible, horrible, no good, very bad days. Jeff found he needed back surgery at an extremely inconvenient time in his life. It all started in April when Jeff decided to give his 100-pound Bernese Mountain dog, a bath. As you can imagine, this requires a lot of lifting and bending, and Jeff felt the after-effects for a week. Then Colorado had all of that rain in April, and Jeff volunteered to move 65-pound sandbags all day to try and keep his neighbor’s flooding at bay. Jeff’s back pain got much worse and he was losing sleep and “popping ibuprofen like tic tacs.” Unfortunately for Jeff, his job as a Safety Manager for a national heavy equipment company required a trip to Chicago a few days later. When he went to pull his suitcase out of the overhead compartment and the pain in his back was excruciating - he knew he had to get help immediately. His primary care doctor in Evergreen told him he needed immediate back surgery – but Jeff was already scheduled to leave on a week-long family reunion cruise a few days later. So, they gave him an epidural to lessen the pain and he was off to the Caribbean. Immediately upon his return from a very uncomfortable cruise, Jeff came in to see Dr. Ghiselli. Jeff had an extruded and herniated disc in his lower back from his previous weeks’ antics, so Dr. Ghiselli scheduled an L5-S1 microdiscectomy two days later. However, in keeping with the “inconvenient” theme, Jeff’s wife was also scheduled to have gum surgery the same day as Jeff’s back surgery, all of which was taking place two weeks before they were supposed to pack up their entire life in Colorado, and move to Pennsylvania. Dr. Ghiselli performed Jeff’s microdisectomy, and much to Jeff’s relief, the surgery was a "complete success" and he was no longer in pain. All he has now is a small scar (which comes in handy when he’s trading battle wounds with the burly crane operators he trains for a living) and a video of his surgery. Jeff’s 11 year-old son asked Dr. Ghiselli if he would video part of his dad’s surgery for him. Dr. Ghiselli remarked that he had never been asked that before, but he thought it was a pretty cool idea and was happy to oblige. Now, Jeff and his son like to watch the “cool and gross, all at the same time” video together and Jeff is glad that the surgery, and the series of events leading up to it, are now behind him. Kim and her husband joke they have a “punchcard” with Dr. Jatana – she has had five neck and back surgeries by Dr. Jatana in the past 16 years. A lumbar microdiscectomy in 1999, another one in 2001 after a re-injury, an L4-5 micro-discectomy in 2003, a C5-7 cervical discectomy in 2007 and a C4-5 fusion in 2014. A systems engineer for spacecraft, Kim graduated from Cal Poly San Luis Obispo and has worked for Lockheed Martin since moving here in 1996. Kim is small and athletic – sports filled her youth. But as strong as she was, she lacked core strength, and had her son in 1995 – both of which contributed to her back and neck issues. But it’s her home improvement activities that have caused Kim the most problems. A “home remodeling junkie,” Kim has suffered several injuries fixing up her home and garden. She fell off a stool causing a bulging disc, she painted a ceiling causing shoulder and neck pain and numbness, she slipped in her garage earning her a trip in an ambulance, and she carried a heavy bag of mulch in her garden causing a disc re-rupture. Whew! She is obviously one active lady. Kim says she gets “first class service” with Dr. Jatana, and would “never go to anyone else.” She and her husband immediately liked Dr. Jatana’s easy and caring manner, his steady hands and his confidence. All of Kim’s surgeries have successfully eliminated her pain and symptoms. After her fall from a stool in 1999, the pain was so intense she couldn’t move, but immediately after her microdiscectomy she was pain free. Aside from the fact that she “never wants to see a neck collar brace ever again!” she feels very fondly toward Dr. Jatana and his team. Kim is currently building her GOES-R (that stands for Geostationary Operational Environmental Satellite), and in her spare time Kim is still an active home improvement do-it-yourselfer - but now she takes precautions to protect the hardware inside her spine as well as out. When 66 year-old Geophysicist and Geologist Jeff Arbogast woke up in severe pain while on vacation in Hawaii two years ago, he didn't realize it was pain that would become chronic. Jeff had served his entire four year term as a naval officer during the Vietnam War in Hawaii, earning him his "purple heart for golf blisters." But this stay in Hawaii was quite different. This Princeton and Duke grad sought treatments for his pain back at home - physical therapy, injections, nerve blocks and chiropractors - but he relied heavily on pain meds to get through every day. Jeff also has Parkinson's disease, and took up tennis years ago to combat the freezing up of Parkinson's patients. That, coupled with his passion for fly and ice fishing, kept him in top form. But none of these past times were possible with his severe back pain. Jeff asked six different doctors, who didn't know one another, who they would go to if they had back pain like his - all six said Dr. David Wong. At his first appointment, Dr. Wong said he wanted Jeff to fully exhaust his non-surgical options before considering surgery. So Jeff persisted with visits to his pain management doctors - but Dr. Wong determined a lumbar spinal fusion surgery using the Aspen Plate (a minimally-invasive technique) was his best option months later when his pain was no better. After the surgery last November, Jeff woke up the next morning and got out of bed for the first time in two years without pain. "That was a very emotional moment for me," Jeff remembers. He has remained pain-free, and pain med free, ever since. Now Jeff is doing his prescribed physical therapy, and is back to playing tennis four times a week. After moving here in 1982, Jeff says "it would take a very large Caterpillar tractor to move me from Colorado," and without pain, he has resumed taking advantage of our state. He's happy to be ice and fly fishing again and he says earning more golf blisters is on his calendar for the spring. Scott has a rather impressive athletic resume. He is a 3-time world champion in the 60-Plus Masters Division of the CrossFit Games, he played college football at San Diego State University, he road and mountain bikes, skies and snowboards – and did we mention he was a competitive water skier? His fitness background served him well, until 2011 when he started experiencing discomfort while standing and numbness in his foot. He tried physical therapy, massage, acupuncture, and dry needling – but nothing helped long-term. The standing discomfort progressed so much that if he saw a small line at the grocery store, he would abandon his cart instead of waiting in line to pay for it. After a brief recovery (and a scolding from Dr. Ghiselli for doing handstand pushups in the office at a follow-up appointment), Scott is back to daily CrossFit training, which includes 400-pound deadlifts and 300-pound back squats. He’s training to compete in the CrossFit Games again in July of 2015, and he’s optimistic he’ll win another gold medal. He’s hoping his daughter will be there with him. illustrating that the apple does not fall far from the tree, she has been to 5 CrossFit Games herself. We’ll be watching Scott defend his title at the Crossfit World Championships in July! Outdoorsman and active father and grandfather, Brian injured his back at his job as a field engineer. His workmen’s comp insurance sent him to several providers for various injections and other procedures, but nothing helped his 9 to 10 scale pain. Brian’s pain completely changed his life that he “lives at 9,000 feet on purpose.” An avid fisherman, alpine skier (50+ days each season), and cross-country skier, Brian also helps his wife and daughter at their horse-boarding business on their property – but his days of carrying a bale of hay in each hand were over. When pain in her legs started to slow lifelong belly dancer Lia Ridley down, she interviewed several doctors to find the cause. Because of his surgical rate of success, she chose to see Dr. Wong at Denver Spine Surgeons. Dr. Wong diagnosed Lia's condition as spinal stenosis and spondylolisthesis (a condition of the spine where one vertebra slips forward or backward compared to the next vertebrae) and performed a decompress-ion and fusion of L4 and L5 surgery to correct her condition. Lia’s leg pain was completely gone after the surgery – she followed her physical therapy regimen and 3 months later she was back to her pre-surgery life. And for Lia, that is an active one! She teaches belly dancing at Metro State University and privately 4 times a week, performs belly dancing at events all over town, walks, and works out daily. At her 3-month follow-up appointment with Dr. Wong, who she now thinks the world of, she belly danced in the office – to the delight of our whole staff. We wish you continued health and happiness Lia – and we look forward to our next in-office belly dancing performance!